Last week I posted about the Japanese master artist Hokusai. 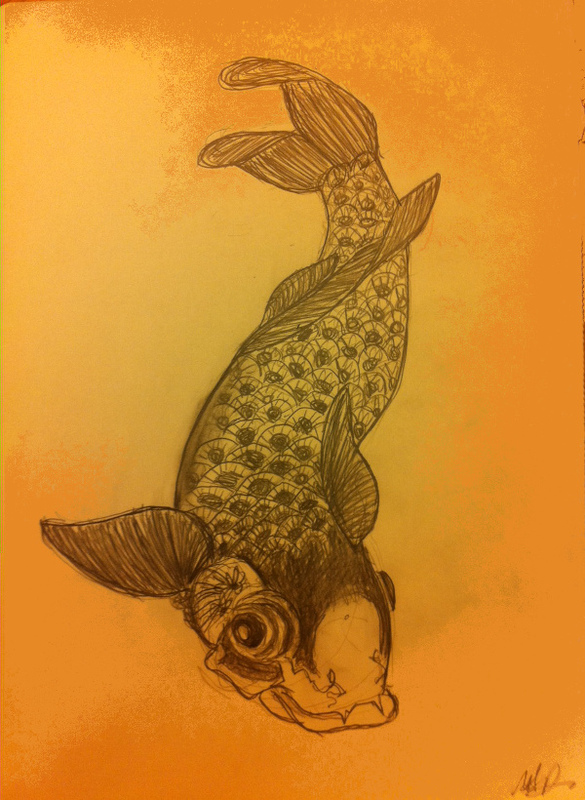 I thought I’d post another sketch of his work as I found the original quite eye-catching. At first I thought it was an interpretation of opium dreams, but apparently it is actually a kind of Japanese spirit called Rokurokubi. There are some bizarre tales of what these creatures get up to, including that of the soul detaching from the body during sleep and various sorts of tomfoolery. It’s also cool to see how he echoed the curve of her neck with the smoke from the pipe. 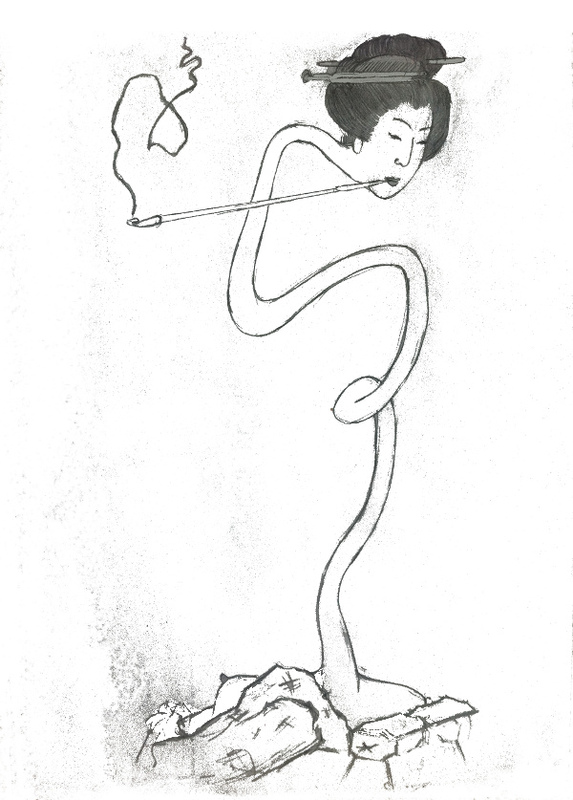 I didn’t see any reference to pipe-smoking rokurokubi, so I’m a bit suspicious of the inclusion of that in his drawing although apparently there wouldn’t have been much opium in Japan during his time. S&F and Philosophy Now: Why Philosophy? The following cartoon accompanied the print version of Philosophy in the Popular Imagination, a piece about modern perceptions regarding the value of philosophy, i.e. critical to self examination or time well wasted? 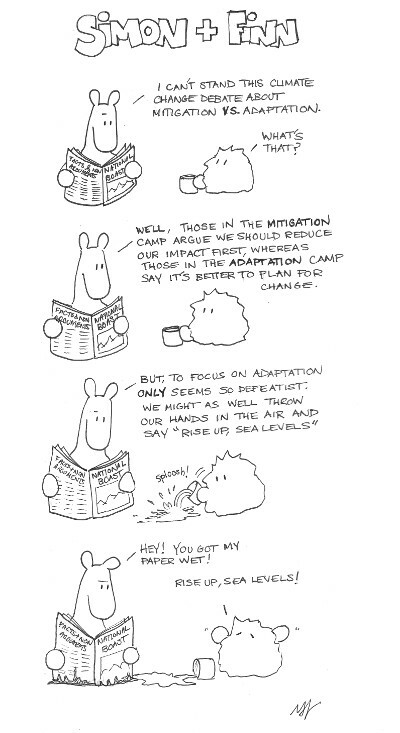 I attended an environmental conference a few weeks back and this continued to be the issue of the day… no wonder environmentalists drink a lot. On another note I can’t figure out why the resolution seems off the last few cartoons. Hopefully it isn’t too hard to read.